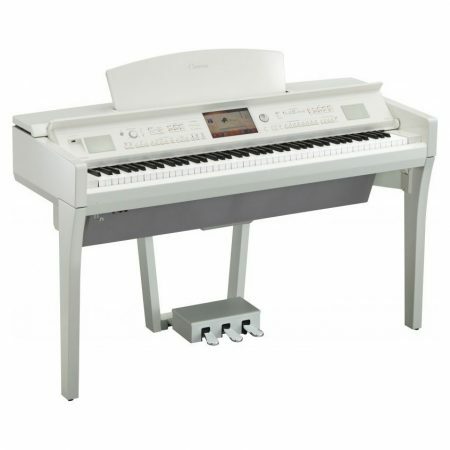 88-key GH3X (Graded Hammer 3 with escapement) keyboard, 4.3 inch (480 x 272 dots) TFT colour LCD display, Yamaha CFX & Bosendorfer Imperial concert grand piano sounds, Virtual Resonance Modelling (VRM), 256-note polyphony,777 Voices + 29 Drum/SFX Kits +480 XG Voices, 310 Styles (253 Pro Styles, 21 Session Styles, 36 Pianist Styles), Piano Room with Session Mode, Microphone input, compatible with Chord Tracker app. 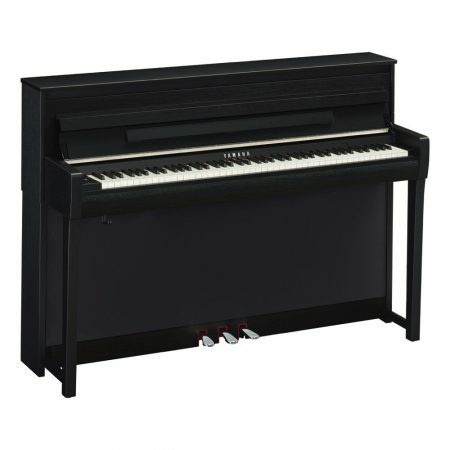 From the outstanding grand piano touch of the GH3X (Graded Hammer 3X) keyboard with escapement and synthetic ivory keytops to the intuitive design and integration with iPad, the Yamaha Clavinova CVP-701B digital piano puts you in touch with your inner musician. 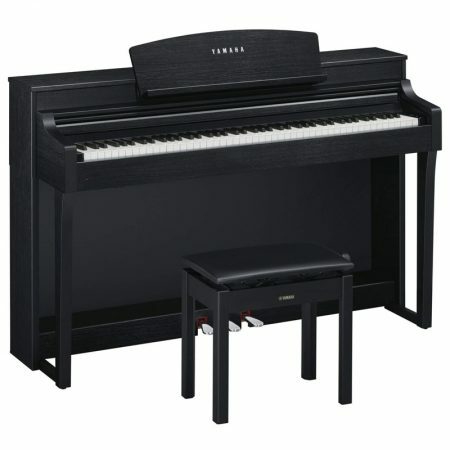 At their heart, all Clavinovas are first and foremost a piano, and this has never been more true now that the CVP-701B includes Yamaha”s Real Grand Expression technology. 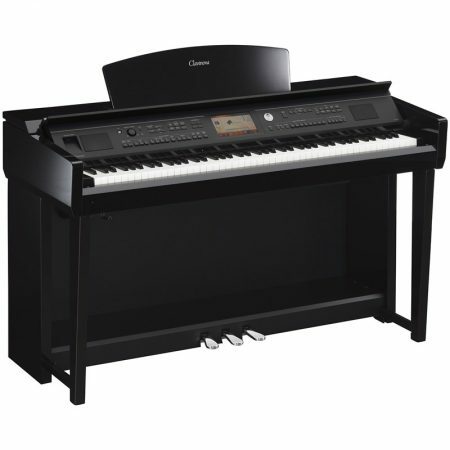 A variety of interactive music entertainment, education and performance features make these digital pianos just as enjoyable for beginners as they are for advanced pianists. A color screen makes operation easy and intuitive. Guide Lamps show which keys to play for the novice, while on-screen notation puts music in front of more experienced players. The CVP-701B features hundreds of high-quality instrument Voices including “Natural!”, “Sweet!” and “Cool!” Voices sampled specially to compliment the instrument types. 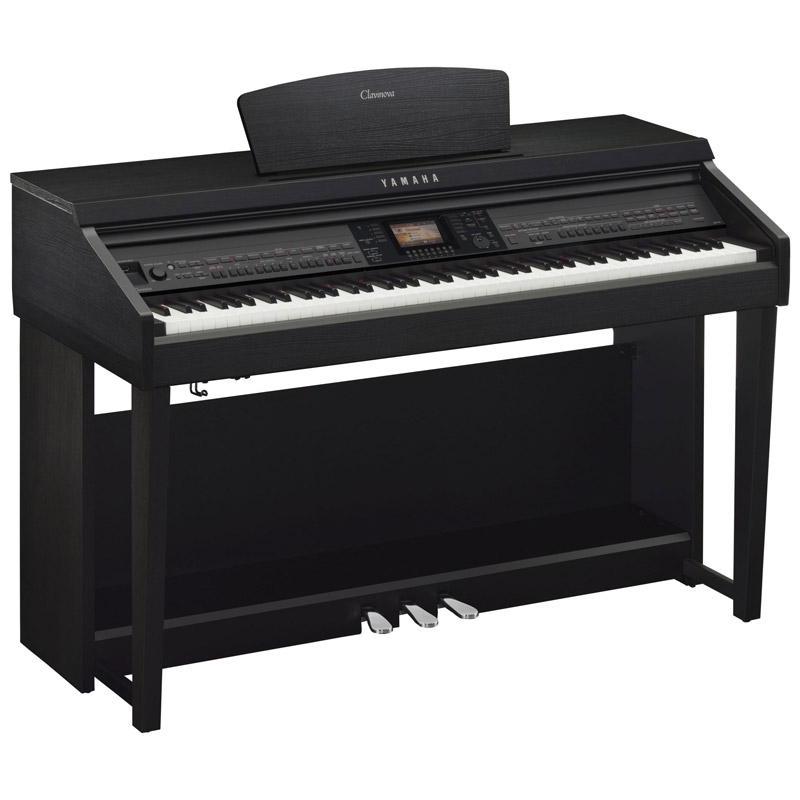 Yamaha’s Super Articulation Voices (SA) add genuine performance attributes of the real musical instruments as though they were being naturally performed by a virtuoso of that instrument instead of from the keys of a piano keyboard.